Morton’s neuroma is a common foot condition which can present itself as anything from a numbing or tingling sensation to an intense burning pain in the ball of the foot. 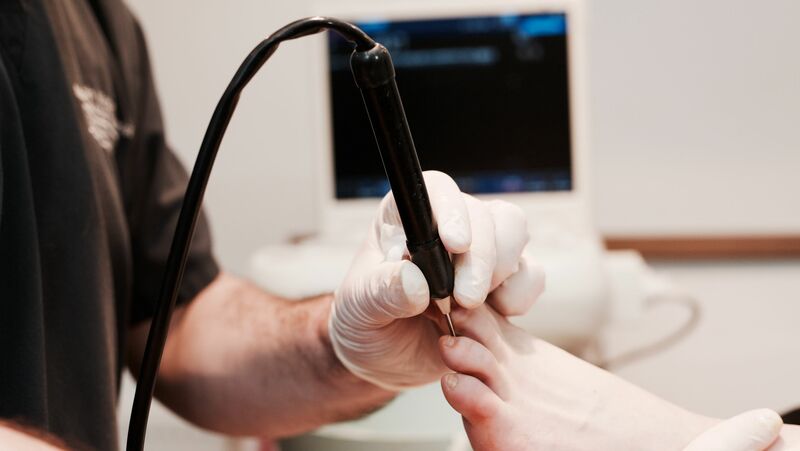 If you have Morton's neuroma and are seeking a cure or remedy for this painful condition, we offer cryosurgery for Morton’s neuroma at our clinic in Sheffield, UK. 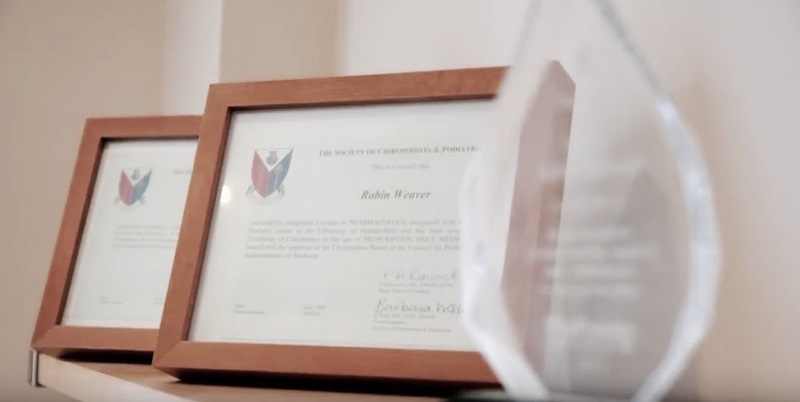 Having treated well over 2000 cases, Robin Weaver has years of experience in Morton's neuroma treatment with Cryosurgery, also referred to as Cryotherapy. The Barn Clinic is Europe’s first and most experienced Cryosurgery clinic, with an unrivalled reputation for treating Morton’s Neuroma by using state-of-the-art Cryosurgery. Morton’s Neuroma is a painful foot condition which can be incredibly difficult to treat, but with over 10 years of experience and technique refinement, The Barn Clinic continues to offer excellent treatment results for our patients. Our light and spacious clinic rooms are equipped with high standard, cutting-edge medical imaging and Cryosurgery technology and staffed by our team of friendly expert practitioners – so you can relax and enjoy your Morton’s neuroma Cryosurgery treatment knowing you’re in the safest of hands. Cryosurgery for Morton’s neuroma is available at our main clinic in Sheffield, and at our monthly satellite clinic in London. 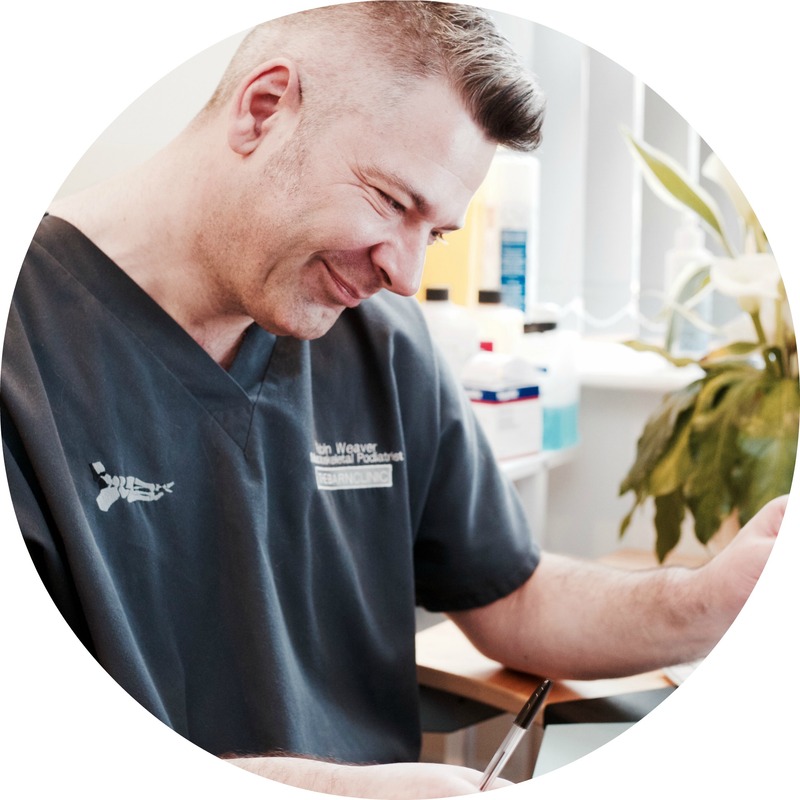 Mr Weaver is a renowned podiatrist and was the first in the UK to use the Morton’s neuroma cryosurgery treatment. He is supported by Danielle and Georgia who will assist you with your booking requirements and meeting any special requirements that you might have. As well as assisting Mr Weaver during your treatment, Georgia will chat to you and keep you entertained and relaxed. Morton’s neuroma varies in severity from patient to patient, depending on how developed it is. Not all cases will require morton’s neuroma cryosurgery, and indeed we do offer alternative Morton’s neuroma treatment options. If you are unsure about your condition, or how to proceed with our morton’s neuroma cryosurgery treatment, please do not hesitate to contact us as we will be more than happy to arrange an appointment with you. It is always better to begin any treatment for morton’s neuroma sooner rather than later as the condition is likely to continue to worsen over time if you do not intervene. As a team, our overall goal is to restore your quality of life that Morton’s neuroma and similar foot conditions so often disrupt. We look forward to meeting you in clinic.